Update 12/01/2019 : Richard for Lost and Profound , Miracles Happen , 1994 : Richard co-wrote Miracles Happen and also produced and played guitars on the rest of the album. He says its one of the best things he's ever been involved with. You can read here about the special circumstances during the recordings. Shaking off her setback, Leigh was quickly welcomed to the Monument Records roster. Richard Bennett and Emory Gordy, Jr., the production team behind Steve Earle's heralded Guitar Town disc, came aboard to produce A Shot Of Whiskey & A Prayer. "Those two men have made some of the best records ever," Leigh says. "I felt like I had lucky charms hanging all over me. It took longer to find the right songs than it did to record the album. That process really moved right along." You can read here a little review about the album. Richard wrote the melody for this tune, the fellow who wrote the lyrics went by his first name only, Kostas. Back in 1995 Richard produced and played on Kim Richey's self entitled debut album . Richard played Acoustic, Electric Guitar, Mandolin-guitarophone, Slide Guitar and Tiple. And then Richard and I met. And I just loved him right off the bat. And we were going around to a couple different record companies, and we said we wanted to make a record together. And they were like, “Have you guys ever worked together before?” We were like, “No, but we really like each other.” They didn’t seem too interested. I talked to a bunch of different record companies. And then Mercury decided that they wanted me to make a record. And I think they had some other producer people in mind. But I was old enough at that point to say, “Well, you know, this is what I want to do. And if you are interested in me doing that, then that’d be great, but I’m making a record with Richard.” And they said okay. So I made a record with Richard, which I absolutely loved. I had just the most wonderful time making that record with him, and had every intention in the world to work with him again on the second record. But then he ended up going out with Mark Knopfler and being in Mark Knopfler’s band, so he couldn’t do it. And it just broke my heart that he couldn’t do it. Rose In Paradise is a song from Waylon Jennings' album Hangin' Tough in 1987 with Richard on the acoustic guitar . Sissy Spacek was produced by Rodney Crowell when still lived in L.A.
Arlan Day was﻿ a UK classical pianist who took a stab at pop with this single and album. Pasha was a label that was distributed by CBS. This particular song was one of Pasha's earliest singles and was unusual for Pasha because it was pure Adult Contemporary radio pop instead of the harder rock they were better known for. Richard played on all tracks of Guy Clark's album The South Coast of Texas in 1981 . You can listen here to "Calf Rope"
Bud was a good friend of Richard and a wonderful Hawaiian steel guitar player who lived in Seattle. He was a protege of the legendary Hawaiian guitarist from the 20s through the early 50s, Sol Hoopii . Sol had relocated from Los Angeles to Seattle in the 40s and befriended Bud. Richard knew Bud since the 80s when he called him to say he was a fan and asked if he wanted to come to a Neil Diamond concert they were doing there. They quickly became friends and they had a little jam session at his home at that time . Several years after moving to Nashville, Richard ended up playing on one of Bud's albums, Unforgettables 2, that he'd come to town to record it. It was a great honour playing on that record for Richard as he was such a fan of him. The last time Richard saw him was at a show he did in Seattle in 2001 with Mark Knopfler. He invited him and his sons to the show and he enjoyed it so much. Richard remembers Bud sitting in the audience just a few rows from the front looking up and beaming at him. Bud Tutmarc died in December 2006. You can find some nice words, written by Richard when Bud passed away here . It's a great website , if you're interested: www.budtutmarc.com . You can check Bud's albums here . Richard produced a couple of albums on Jim back in '78 and '80 . Both albums were country, leaning hard in a bluegrass/rockabilly direction . You can read here an article about them . I first met Jim Silvers in June of 1969. I remember it clearly as I'd just moved to Los Angeles after graduating high school and started teaching guitar in a music store in Hollywood. Silvers wandered through the door wanting to take some Dobro lessons and was my first student. He was about 15 years older than I, but we shared a great passion for old hillbilly music and began hanging out together. He had been a singer in various country and bluegrass bands over the years. Jim landed a deal at a label called CMH in 1978 and asked if I would help produce the record and really it was the first album I produced that actually was released. A couple of years later we did another record for a label called Rollin' Rock, a decidedly rockablilly company and ethic. That too was released, though the combined sales of both were very low. My friend Richard Weize of Bear Family liked both albums enough to re-release them along with a few unreleased demos that we did. 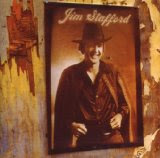 Update 20/10/2012 : Great review today on Jim Stafford's 1973 album on which Richard played lead guitar . 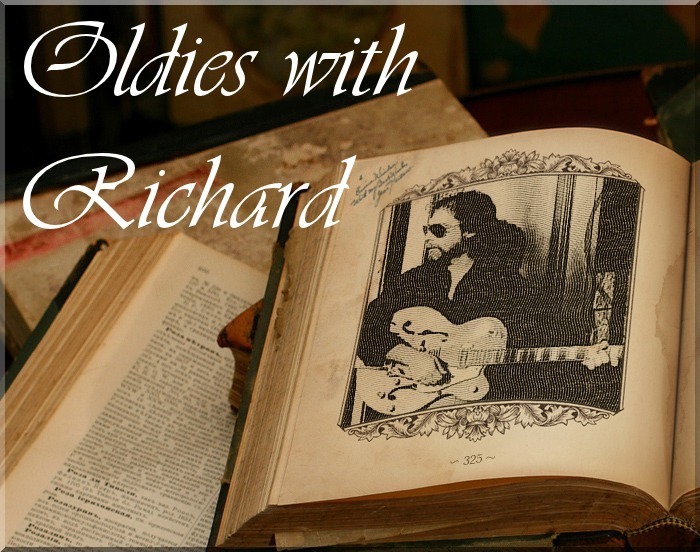 Richard played on a couple of albums by Stafford and actually had a couple of big pop hits back then. That's me on steel ( but certainly not in the video , it's not an original video ) and high string guitar along with the other musicians listed, Alan Lindgren, Dennis St. John and Emory Gordy. The four of us made up the core of Neil Diamond's band at that time and for a number of years after. We were a rhythm section to be reckoned with and were often hired all together for what we did. I doubt that I've heard that cut since the day it was recorded in late 1974. Most of us worked together as a recording rhythm section before we joined up with Neil and prided ourselves, rightly or wrongly, on being a good little band. We would often get called for record dates as a unit and that's how we ended up on the Lobo things. A fellow named Phi Gernhard produced those records as well as The Bellamy Brothers and Jim Stafford that we all played on. including the resources of the string orchestra. The highlight of the performance however is Richard's acoustic guitar solo. That's me playing electric, slide and acoustic guitars. The Lettermen were all good guys and singers. When they began having hits in the early 60's they, like many vocal groups of that time, were great admirers of The Four Freshmen. The Lettermen slightly reshaped the Freshmen sound to fit the pop music of the era and of course they were three and not four. Update 26/06/2012 : Richard back in 1972 with Spooner Oldham , Dennis St. John and Emory Gordy Jr. Here's an old tune from 1972 , it's from Spooner Oldham's album Pot Luck and it's called The Lord Loves A Rolling Stone. It's an incredibly obscure album . The four of us on that record were very busy in that period as a rhythm section on records. Spooner and I talked about all that when I saw him last week for the Duane Eddy and Dan Dugmore session. Funnily enough after that period ended, I seldom recorded with Spooner anymore, though would see him from time to time. The session we did with Duane was the first time we've played together in probably 30 years. Richard played on two songs on Barbara Keith's self titled album , you can listen here to the wonderful "The Bramble and The Rose" , it was Neil Diamond's band , Emory Gordy Jr. , Dennis St John , Spooner Oldham and Richard with Barbara. songs and albums. We all knows how great guitarist, sideman, session musician, and record producer is Richard Bennett. Your collection is mind blowing and unique then all other websites.